This is the BEST homemade taco seasoning. Made with kitchen staples, the spice level is customizable. 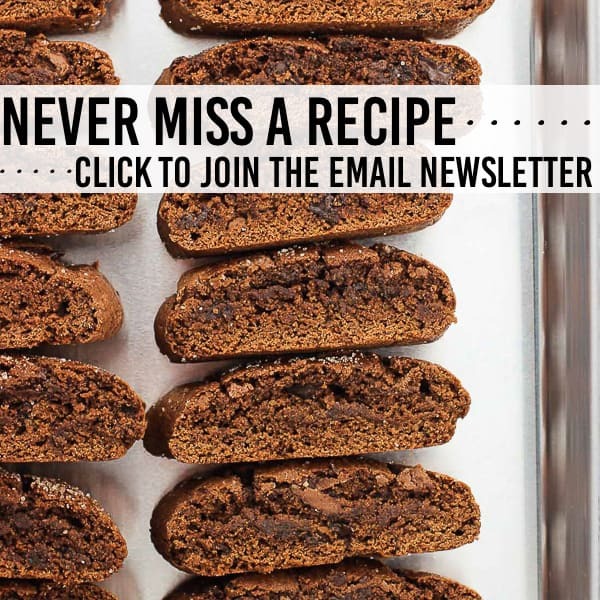 It’s MSG-free, gluten-free, preservative-free, and easy to store. 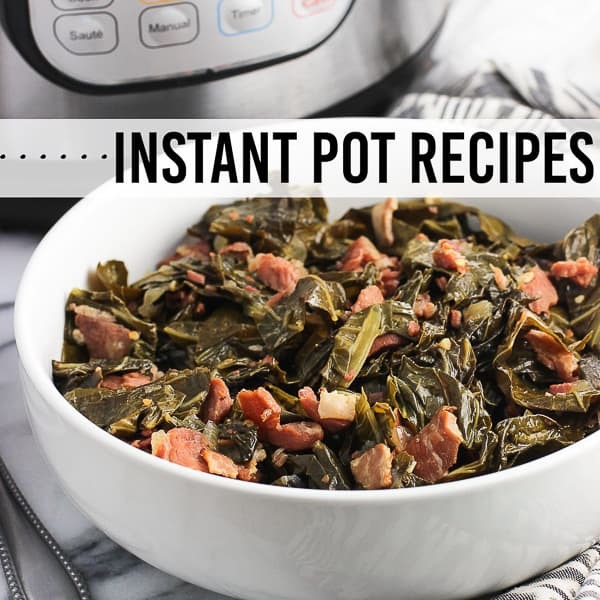 In the midst of obsessing over a flavor (like the chipotle peppers in adobo in spicy chipotle hummus) or figuring out how to make our favorite dishes in the Instant Pot, I sometimes forget to get ‘back to basics’ with the recipes I share on this site. You know, like the ones you make all the time that don’t seem all that special. Even though they’re solid and super delicious! Or smaller parts of a recipe, such the steps to make caramelized onions. Technically they’re standalone recipes by themselves. 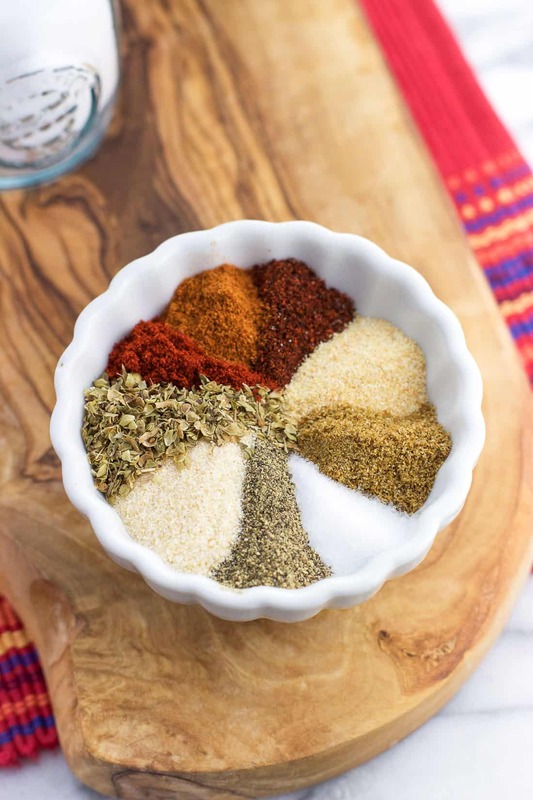 Awhile back I started a “How To” category to wrangle all of these basic recipes in one place, but this whole time there’s been a glaring omission: homemade taco seasoning. 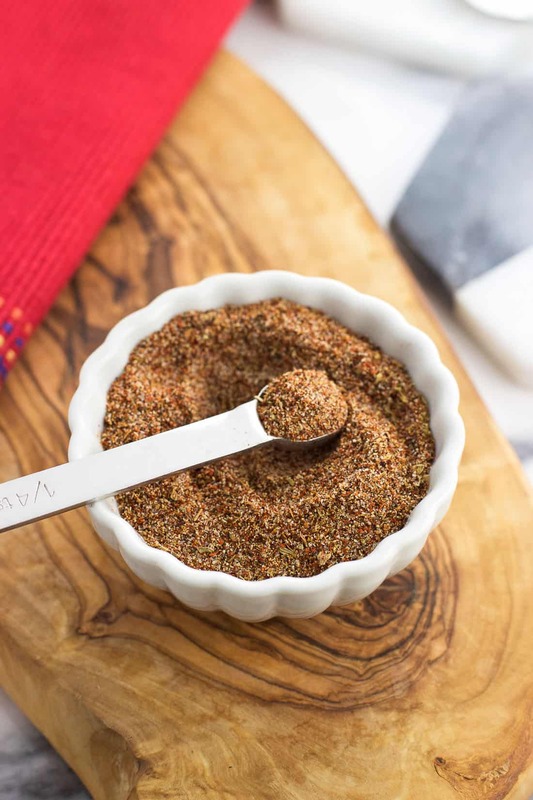 This is our GO-TO taco seasoning recipe. Every two weeks or so we’ll make a batch of taco meat – either turkey or beef – and use it to make tacos (duh) or taco salads. My husband and I both love to cook and are fairly opinionated about dinner, which can lead to dinnertime disagreements. But nine times out of ten when one of us suggests making taco meat, we agree. Dinner discussion over. As a slight aside, I’m convinced taco salads deserve more attention. Not the ones you’ll find on restaurant menus encased in a fried tortilla bowl the size of an adult bike helmet. Those get more than enough attention. I’m talking about the homemade kind. 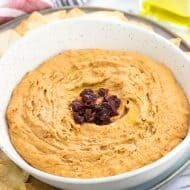 They’re usually a healthier main meal option (especially if you use turkey), packed full of bold flavors, and are a great way to use up fridge odds and ends. 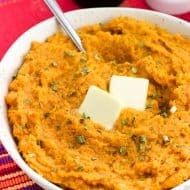 Extra spiced roasted sweet potatoes? Throw those in. Leftover rice/quinoa? In it goes. Hard to beat a kitchen MVP like that. One make or break part of tacos or taco salads is the meat. 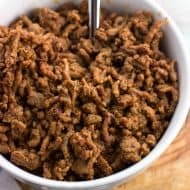 Turkey or beef are interchangeable in my opinion, and since the fat is drained from the beef once it’s browned, the taco seasoning you use is key in providing flavor. 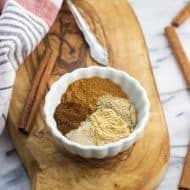 This homemade taco seasoning has been a work in progress for some time now, with both my husband and I tweaking it each time we’ve made taco meat. You can see an earlier version of it used in these taco stuffed zucchini boats. 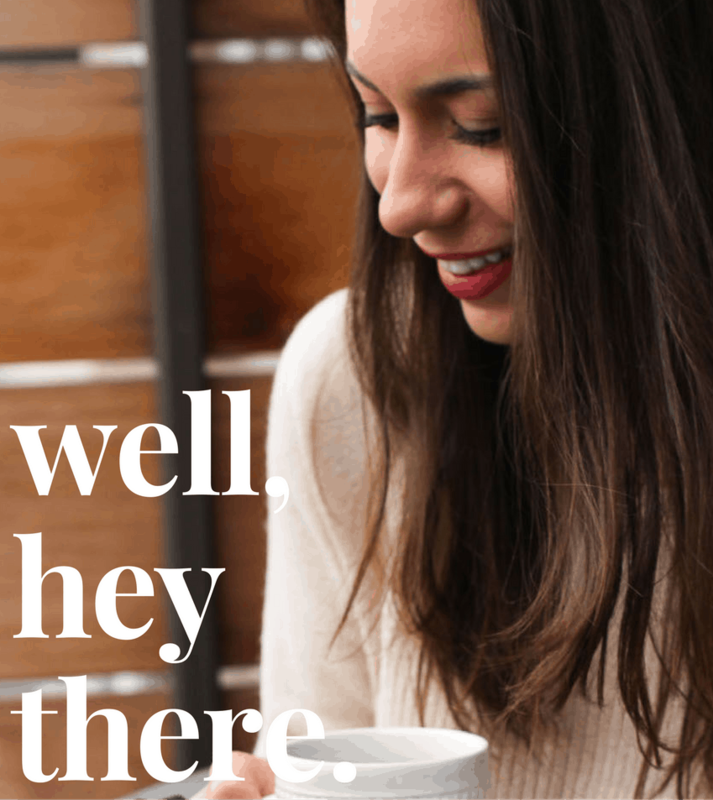 In my opinion (this is my blog after all, so that’s what you’re going to get here 😉 ), this is the perfect blend. Chili powder is the most prominent spice, with cumin, garlic powder, onion powder, salt, and pepper following behind. Dried oregano gets added in, along with smoked paprika. Love this spice! 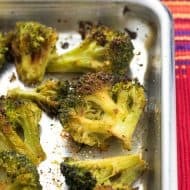 It has a bold flavor that meshes so well with the other spices. Rounding up everything is ground cayenne. Just a quarter teaspoon! This small amount adds a tiny zing, so you don’t have to worry about this homemade taco seasoning being too spicy as written. 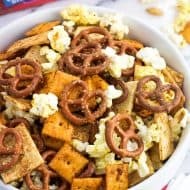 Mix all of the ingredients in a small bowl or jar. Simple as that! 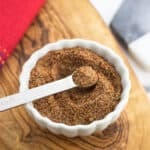 As written in the recipe card below, one batch of this homemade taco seasoning makes around three tablespoons in total. Just sub it in 1:1 for any taco seasoning called for in a recipe. Fully cook the ground turkey or beef in a skillet, breaking it up into crumbles until no pink remains. If using beef, drain the fat from it and place the meat back in the skillet. 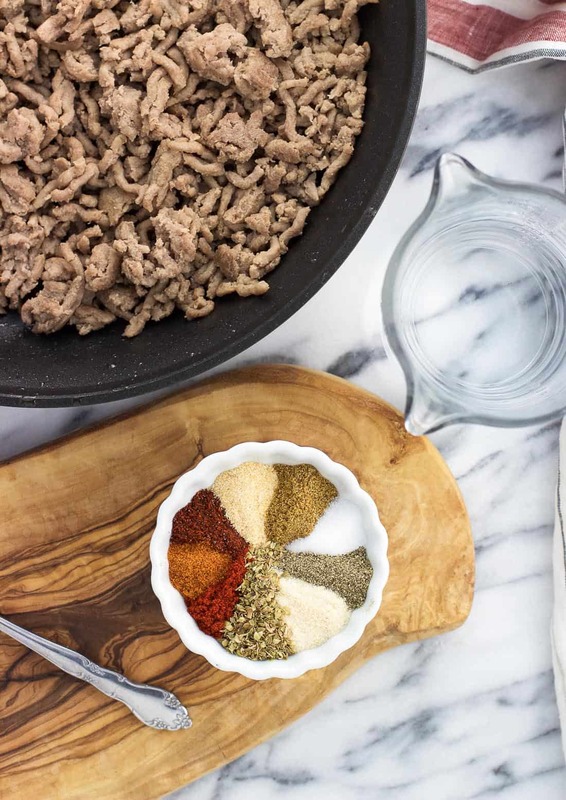 Sprinkle the homemade taco seasoning evenly over the cooked and crumbled meat. Raise the heat to medium-highish and pour in about 2/3 cup water over the meat. Let it all simmer, stirring occasionally, until the water has just about all reduced. Serve. It’ll look like a lot of seasoning when you’re adding it, but it flavors a pound of meat perfectly. Smoked paprika should be found right alongside regular paprika at your grocery store. 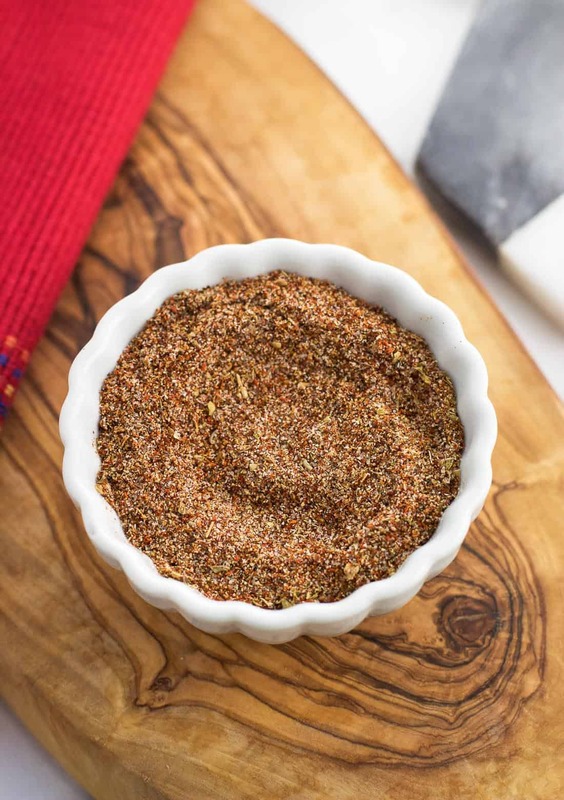 The smoking process gives it a much more pungent aroma and deeper flavor than regular paprika that works wonderfully in this homemade taco seasoning recipe. 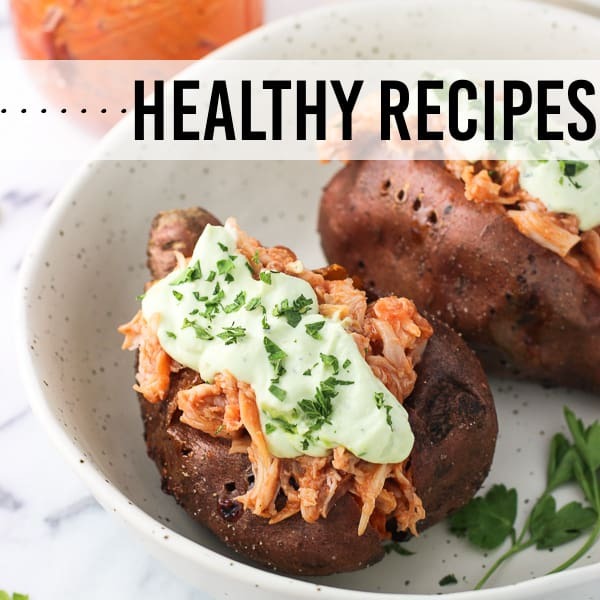 I also love it in smoky shakshuka and sweet and smoky hasselback sweet potatoes. One-quarter teaspoon of ground cayenne pepper doesn’t add too much of a spicy flavor here. Add more if you would like a spicy seasoning. This is the BEST homemade taco seasoning. Made with kitchen staples, the spice level is customizable. It's MSG-free, gluten-free, and easy to store. 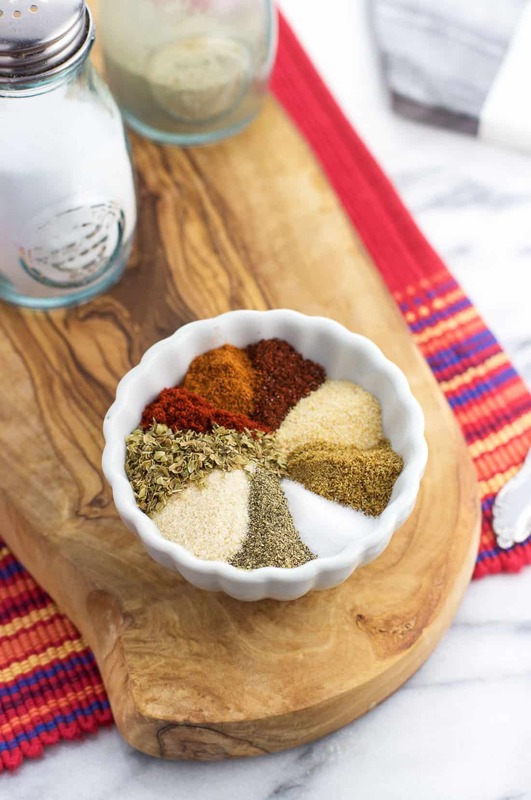 This homemade taco seasoning recipe yields a little more than three tablespoons in total.